See What People Are Saying About Waltham Chiropractic! Read Client Testimonials Here. Sciatica, Back Pain, Neck Pain, Lower Body Pain, Auto Accidents, Pinched Nerves, Headaches. 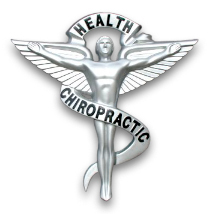 Our goal is to help you and your family achieve and maintain optimal health through natural chiropractic care. We are dedicated to educating you about the many wonderful benefits of our drug-free and surgery-free method of health care. Thousands of hours of advanced training and over 25 years of clinical experience, combined with sophisticated analysis and x-ray techniques, enable us to help a wide range of spinal abnormalities that impede healthy living. Our goal is to help you learn more about this powerful approach to better health. We welcome you to browse our site and learn why having “a healthy spine equals a healthier body”. We invite you to schedule an appointment with us to discuss how you and your family can benefit from chiropractic care. “Before seeing Dr. Duffy, I could not sleep at all because my body was so twisted from the accident. Now, I have seen tremendous improvement and results due to his care and friendly staff members. I would highly recommend Dr. Duffy to any person who truly wants relief from serious back pain…”I HIGHLY RECOMMEND WALTHAM CHIROPRACTIC!” – Linda C.